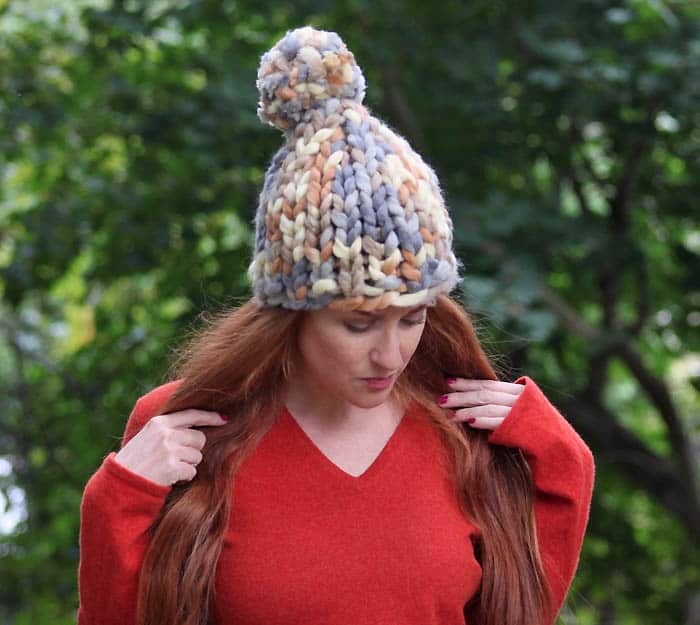 I made this hat in less than an hour thanks to the super bulky yarn and my size 35 needles! The larger needles are a bit trickier to work with but I really love giant stitches they make. 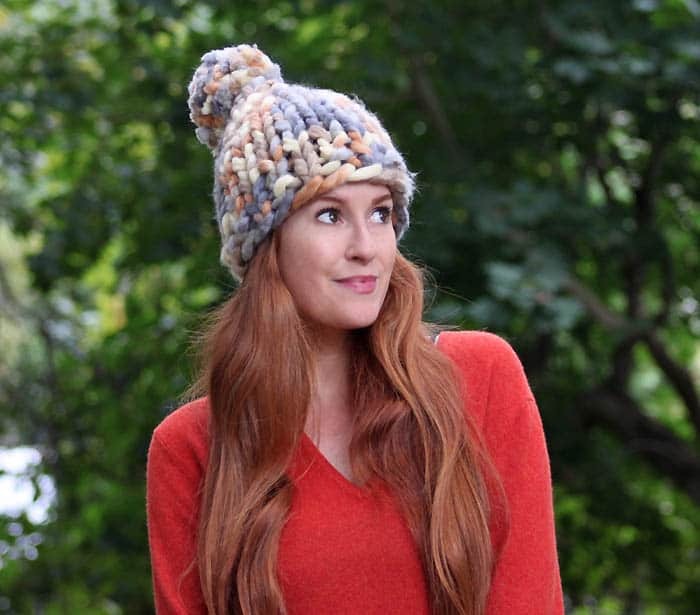 I plan on making this hat in several other colors to get me through the cold winter ahead! Cast on 20 stitches. Work in K1, P1 for 2 rows. Switch to Stockinette Stitch and work until piece measures 7 inches from the beginning. Last Row- Knit 2 sts together, Knit 1 sts, Knit 2 sts together (3 sts) Cut stand and thread through stitches. Pull to tighten and sew seam. Make and attach pom pom. 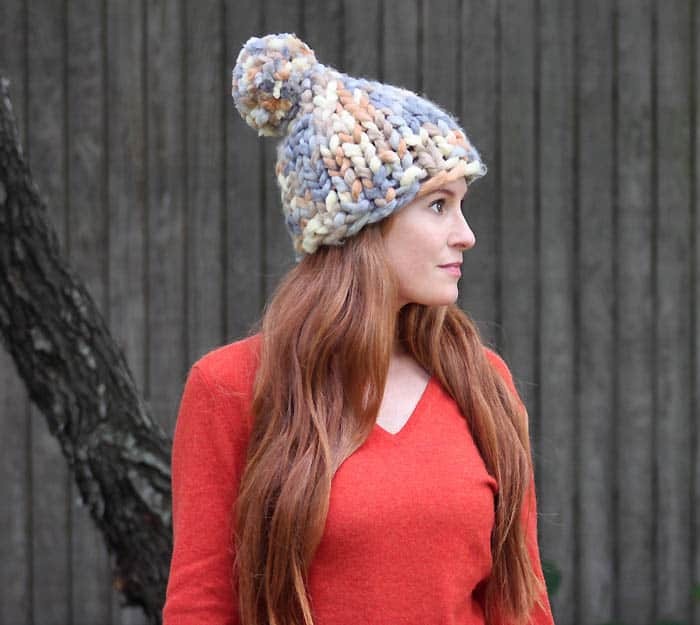 Thank you so much , I've been looking for a Simple Pattern for a Hat , and this is it ? ?